What happened: Merry Ann’s has closed multiple diners lately, including those in Normal, so its closing of the downtown location wasn’t a shock. 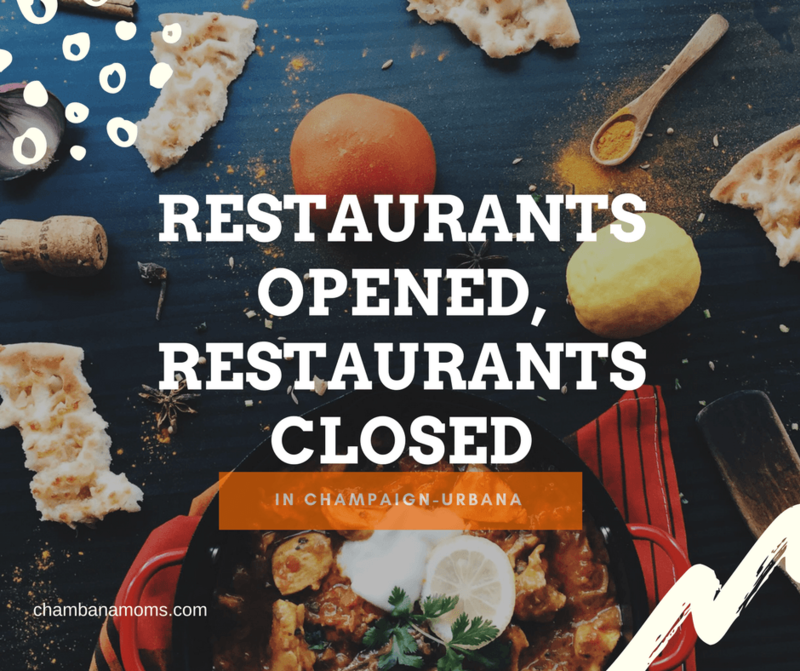 Two other locations — on Neil Street and near Krannert Center — remain open. Who will miss it: Merry Ann’s has a longstanding presence and devoted following in C-U so one fewer outlet is a reason to mourn. Any hope for future: Not at the downtown location. What happened: So, this is a long story, but you might remember that at one time it was Dublin O’Neil’s, then it closed for a while, then it re-opened as Dublin’s Pub and, well, you get the picture. Who will miss it: Soccer fans, perhaps. Fans of fish and chips. Any hope for the future: Not that we’re aware of. What happened: The Illinois Department of Revenue revoked the business’ certificate of registration. Who will miss it: Ham lovers. Its biggest appeal was to those looking to feed a large number of people at, say, a family gathering. What happened: No clear impetus, but the Carriage Center corridor hasn’t been kind lately to eateries. (see Pizza, Brixx). It doesn’t help that many people see the parking situation in that area as less than ideal. Who will miss it: South siders seeking lunch options. If you’re a Wendy’s fan, you have options; locations remain open in north Champaign, Urbana and campus. Any hope for the future: The location is up for lease. Description: It features Lao-Thai cuisine, not an easy combo to find in these parts. You can get an in-depth rundown here from the owners. Kids menu? None that we’re aware of. Why we’re excited: As we mentioned, Lao food is new terrain for us, and sticky rice is already a favorite, so count us in. Description: With multiple locations in C-U, chances are you are well acquainted with El Toro’s offerings of Mexican food. Why we’re excited: El Toro is a place for the whole family with quality Mexican food at good prices. Description: The store offers 16 featured flavors of cupcakes daily (plus a weekly special), along with 70 flavors of ice cream that are rotated (approximately eight to 12 are available at any one time). Among the cupcake flavors are lemon drop, peanut butter cup, birthday cake, red velvet, pink chocolate, pink vanilla, hot fudge sundae and chocoholic. Why we’re excited: First, it’s nice to have a cupcakery on the south side of Champaign. Second, we’ve heard the offerings are delightful. Third … did we mention cupcakes? Description: It is a simple menu (eight options) of sandwiches, plus smoothies and boba teas. Why we’re excited: For the boba tea, especially. There aren’t enough places that serve it, and for the folks who live on the west side, well, this is a big help. Description: Some view their chicken sandwiches as the best in the fast-food business. Chick-fil-A consistently ranks as the most popular fast food chain in America. Why we’re excited: Wait ’til you get a look at the lines in the drive-thru. Description: Check out our Mom Review here. Why we’re excited: Good food with a space to work, if you’re so inclined. And child care, if you’re so inclined. Description: We didn’t find a menu, but the pictures look delicious, for what it’s worth. Mexican food alongside a twist on some traditional American fare. Why we’re excited: We’d love to see this area of Urbana flourish restaurant-wise. C-U has its share of Mexican restaurants so it won’t be easy but we’re rooting for La Mixteca to make its imprint in our food scene.